Destion Logistics Optimization Suite (Destion LOGOS) is a flexible software application for logistics planning. The software manages location-, customer-, fleet- and order-data which can be used as a basis for various planning problems. 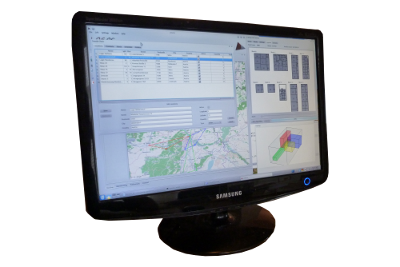 The software comes with a GIS-module for geocoding, routing and mapping. Interfaces for data import and export allow for easy integration in current workflows and processes. The application can be used in a local standalone-setup, but, however, also external modules (i.e. remote routing server) can be easily integrated as plugins. Due to the strong optimization engine high quality planning solutions can be obtained in relatively short time. These solutions imply lower transportation costs as well as higher quality of service and significantly reduced planning efforts. The Destion Optimization Engine is a proprietary combinatorial solver engine to solve a wide range of problem classes arising in transport logistics. Examples are: routing problems, location selection, scheduling, loading, etc. The solver can be easily integrated in existing software solutions, but can also be used as optimization core engine for customized software solutions. Our software Airport Slot Planner	supports coordination authorities, airports, airlines and related service organizations with an effective tool for analyzing, visualizing and planning of airport slots and flight schedules. This software supports the process of creating a high-school timetable of high quality. In particular, this consists of the assignment of teachers/classes to time-slots and rooms, taking into account various constraints and restrictions. Timetables can be created in an interactively (by more users simultaneously), or, alternatively they can be constructed by algorithms.